Sticky Stuff is my scientific name for the horrible sticky substance that makes fusible web work. As most of you will know fusible web is very useful for appliqué work in patchwork but it can do dreadful things to the sole plate of your iron and your ironing board cover. To avoid the struggle of cleaning the Sticky Stuff off your sole plate here’s a little tip for all the beginners. 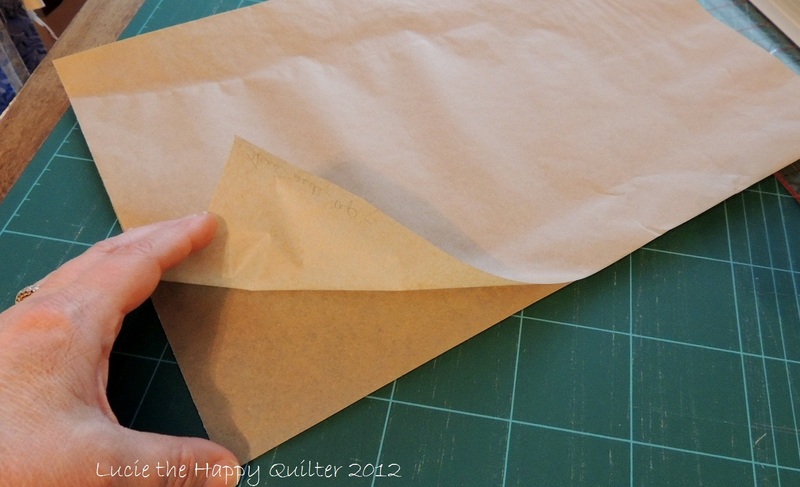 Make a folder from grease proof paper place the fabric and fusible piece in between the layers of the grease proof paper and press using a dry iron. Any Sticky Stuff that might squeeze out will be trapped in the grease proof. I fold my grease proof in half forming a folder and in half again which makes it easier to store for the next time. I also write something in the corner which side is up so there’s always a clean side to run the iron on. I keep a greaseproof folder close to my ironing station. So there’s no excuse for finding Sticky Stuff on the sole plate of my iron. If your grease proof folder isn’t big enough for the piece you’re working on just slide the folder and press one section at a time. It’s a very simple, inexpensive way of protecting both your iron and ironing board cover from Sticky Stuff. 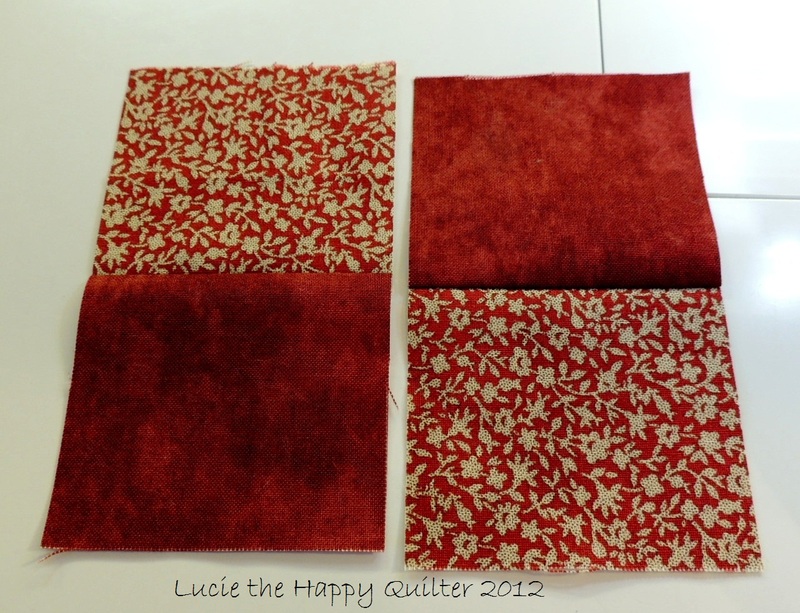 Categories: Patchwork & Quilting | Tags: patchwork applique tips, Protect your iron fusible web glue | Permalink. Categories: Art Journaling | Permalink. 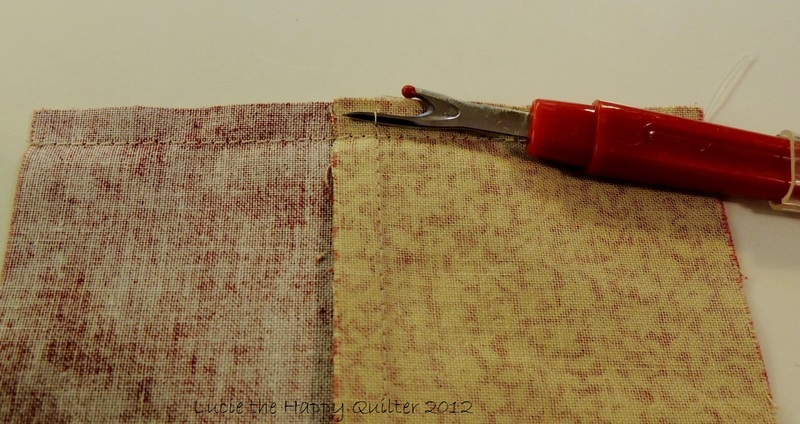 Today this happy longarm quilter has a tip for all the beginners out there who struggle with too much bulk where seams meet. Bulky seams are no fun when it comes time to do some quilting. 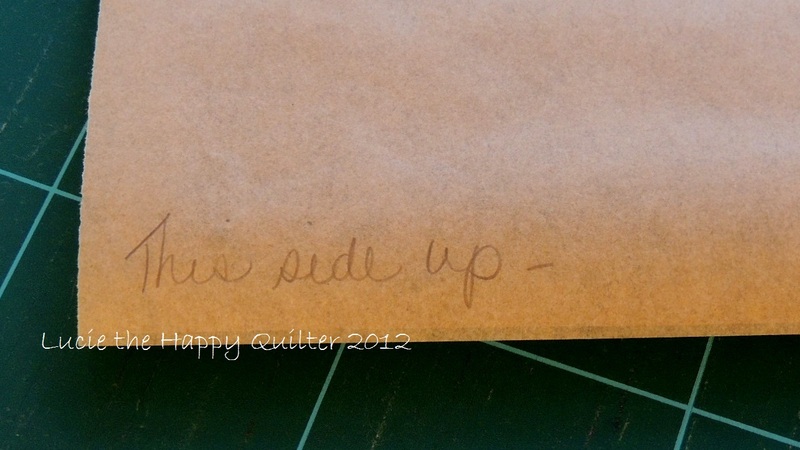 This little tip works well whether you plan on stitching in the ditch or even for free motion quilting. 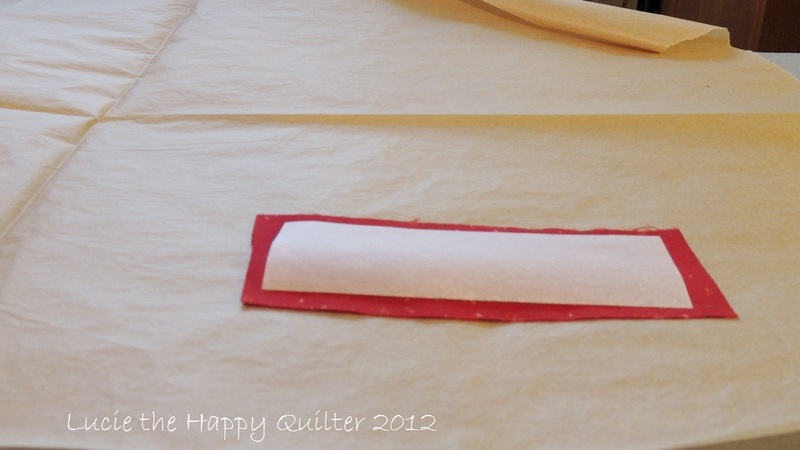 As a professional longarm quilter I quite often come across bulky seams and this little tip works quite well. 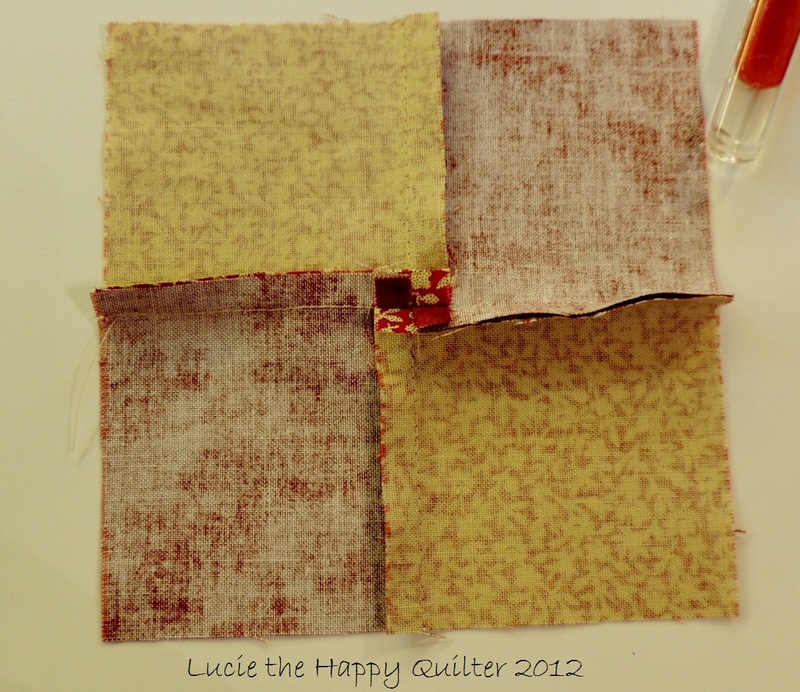 Of course it adds a little more time to get thru your project but I think it is definitely well worth it if it makes the quilting a little easier especially if you’re planning on quilting your project using your domestic sewing machine. 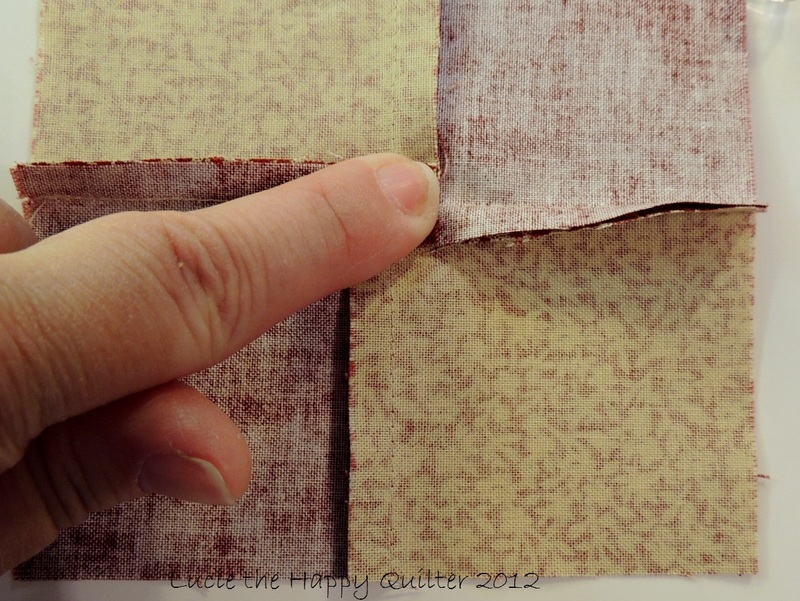 I’m using a simple four patch as an example for this tutorial but this works well with other types of blocks where seams meet. You start piecing your four patch block as you always do making sure that your seams have been pressed in opposite directions. Be sure to lock in the seams that way you know your seams will be aligned. Once your four patch is pieced, using your handy little stitch ripper remove the last couple of stitches from the seams which you have just locked in on both sides. Refer to the photo that shows where to remove the stitches. It’s really quite easy to do. You will most probably find that the seam which you have just sewn will try to fold over in opposite directions on either side of the centre point, which is exactly what you want it to do. Using you index finger squish down the centre where the seams meet. 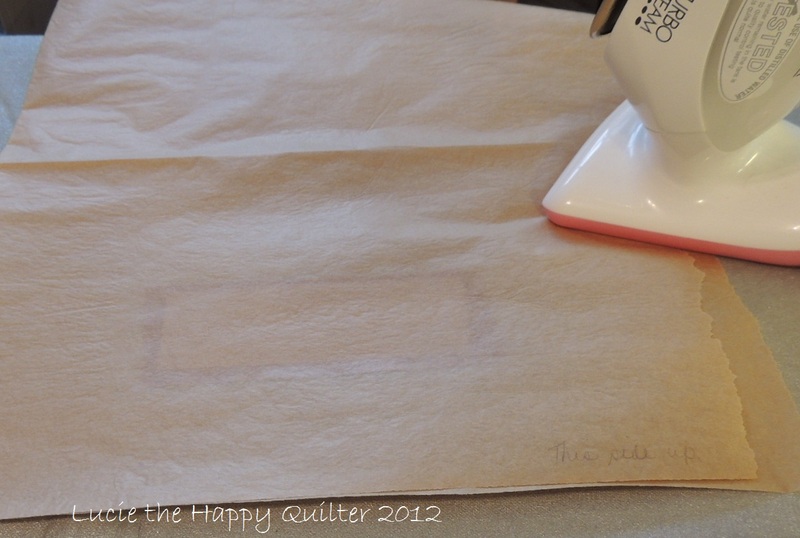 Take the block to the ironing board, with the block facing right side up press. 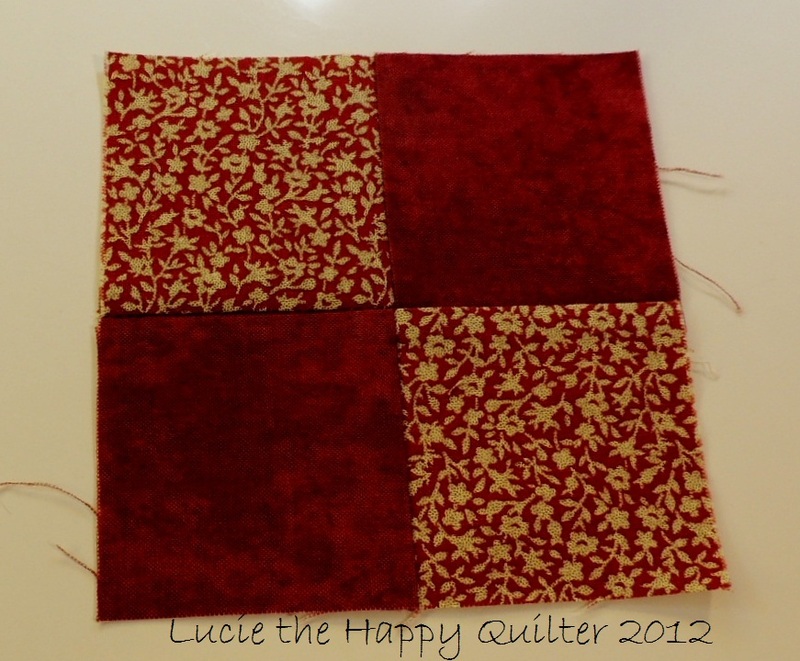 Voila, you have a lovely block with no bulk where the seams meet in the middle. I find this little technique makes quite a difference come time to do the quilting. I hope this little tutorial helps. Remember to take your time and press all your blocks properly. 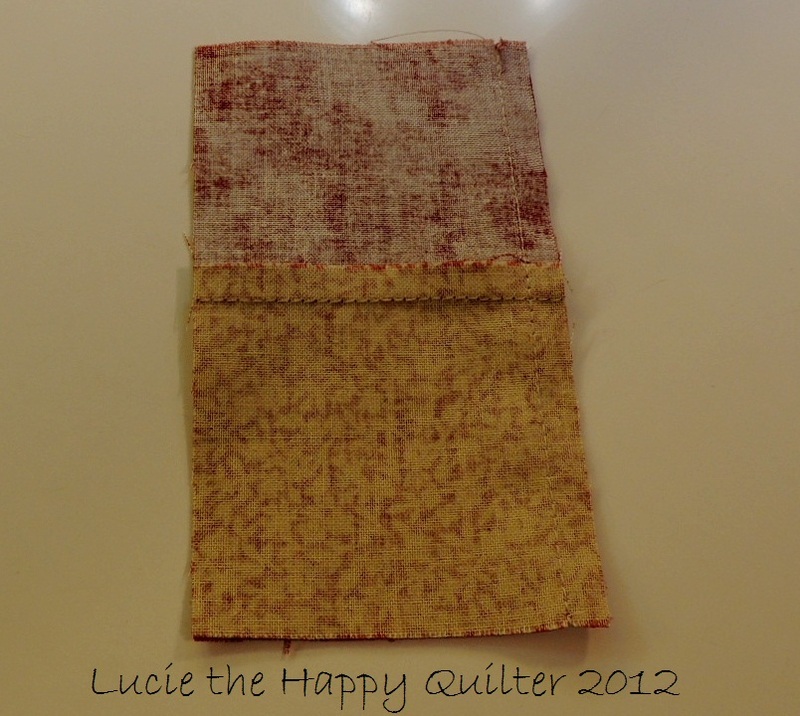 Pressing is such an important part of the job if you want to make nice quilts. 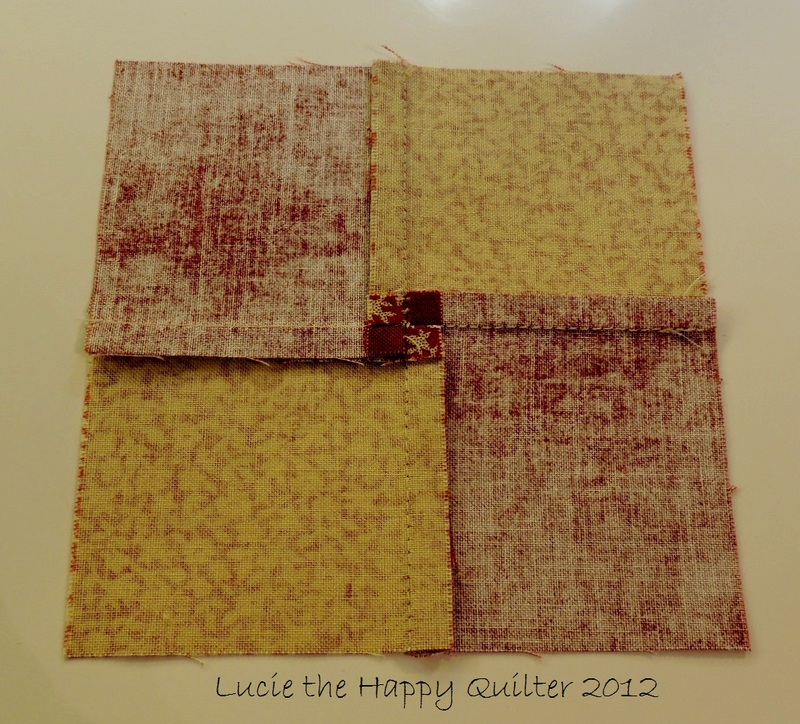 Categories: Patchwork & Quilting, Uncategorized | Tags: Reducing Bulky Seams | Permalink.